Throughout time, as society, industrial processes and the architectural landscape has evolved, the complexity in the design of interior environments has increased. The efficient use of space, user well-being and functional design has each contributed to the development of contemporary interior designer’s practices. 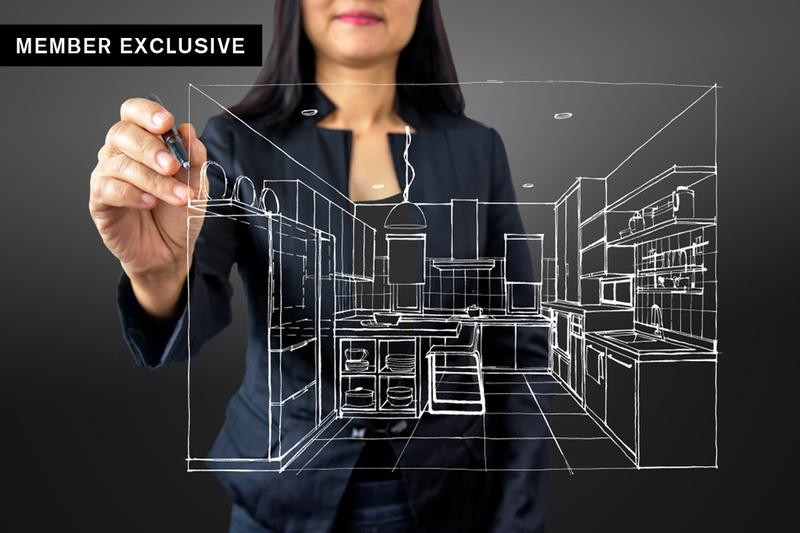 The industry has therefore demanded interior designers with more focused expertise. With skill-sets pertaining to the consideration of interior structures, materials, cabinetry, spatial planning, ergonomics, regulatory compliance, facilities management, lighting, as well as plumbing layout and fixtures within the built environment. Interior designers must therefore be conversant in a variety of disciplines across architecture and decoration; alongside being well versed in dealing with plumbers, electricians, contractors, architects, woodworkers, furniture manufacturers, city planners and government officials, to name a few. Historically, interior design relied heavily on drawing skills, intuition and the costly process of trial and error. Time-consuming constructions of physical scale models, room ‘staging’ and painstakingly hand-drawn plans were all stages which increased time, effort and cost whilst decreasing efficiency and accuracy. Hand-in-hand with the developing scope and sophistication of interior design as a profession, technology has unsurprisingly furthered the evolution of the interior designer’s role and design process. With the birth of augmented reality, 3D virtual landscapes, new styles, expectations and standards of interior design, designers need to stay abreast of advanced technologies to prepare for the prosperous and thriving future of this diverse industry. . . This content is available exclusively to SBID members with SBIDPro. click here to find out more about becoming an SBID member.